Welcome to the Ocean Chiropractic and Health Center New Patient page! We understand that arriving at a doctor’s office for the first time can be overwhelming. Completing forms, meeting the doctors, learning new faces and names, and becoming familiar with the office layout and procedures can be an exhausting experience. Ocean Chiropractic and Health Center aims to remove any stress or unnecessary tension and to make you feel at home. In an effort to provide more one on one new patient care, we have become a paperless office. Upon contacting Ocean Chiropractic and Health Center to schedule your first appointment as a new patient, basic information will be obtained from you such as name, address, telephone number, birth date, insurance information, etc. When you arrive at the office for your scheduled appointment you will then complete the remainder of your new patient intake information on our state of the art paperless tablet. We would ask that you arrive to your first visit approximately 30 minutes prior to your appointment time in order to complete your new patient information. All of us at Ocean Chiropractic and Health Center are here to make the visit to our clinic as pleasant and helpful as possible. Please feel free to ask our staff for assistance at any time. If you would like to take a tour before you make Ocean Chiropractic and Health Center your choice for your healthcare needs, any of the staff would be glad to personally assist you. We look forward to having you as a new patient! NEW PATIENT: Upon entering our office, our receptionist will welcome you as a member of our family. We will request that you complete our digital patient forms located in the confidential New Patient area. This information provides us with your health history, areas of concern and any health condition you may currently be experiencing. CONSULTATION: You will have a consultation with Bradley Deiner, DC or Jennifer Carter, DC to discuss your health-related problems, concerns, and potential treatment options. This initial screening is designed for the chiropractors to learn more about you, your condition, and expectations to determine how chiropractic care can meet your goals. EXAMINATION: After your consultation, the chiropractors will perform a complete chiropractic examination. Other standard neurological, orthopedic, postural and physical tests will be performed as well. However, nothing will be done in our office without your prior consent. 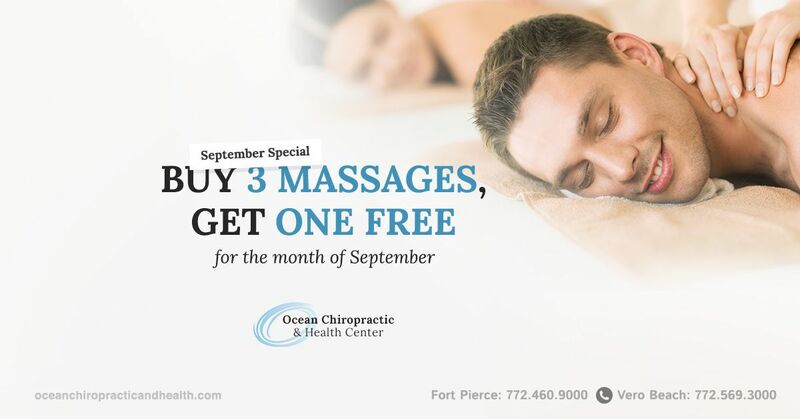 How can Ocean Chiropractic and Health Center help me? How often do I need to come into Ocean Chiropractic and Health Center? Does my insurance cover visits to Ocean Chiropractic and Health Center? After reviewing your medical history and examining your spine, the doctor will discuss recommendations and notify you if your condition, if any, requires care with other providers. Ocean Chiropractic and Health Center in conjunction with the chiropractor will suggest and potentially provide the best treatment and wellness package for you.